This book is written within the context of CM’s self-definition from its very beginning to its current practices. Rather than favoring the provincial opinions of any one organization, association or society, it is based upon the author’s vast experience as a CM pioneer and more recent interviews with other practicing professionals. 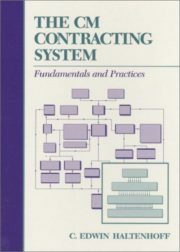 Haltenhoff explains the CM system as completely as possible; provides an insight to its philosophy; develops its fundamentals, practices and procedures; and provides a bench mark for understanding CM as it is, has been and can be practiced. CM is essentially a management process that is highly dependent on extensive competence in the technical aspects of contracting and construction. 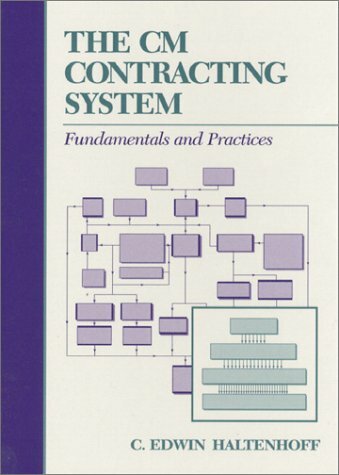 This book focuses on the management aspects but also addresses the scope of technical requirements and the sources where they can be found.